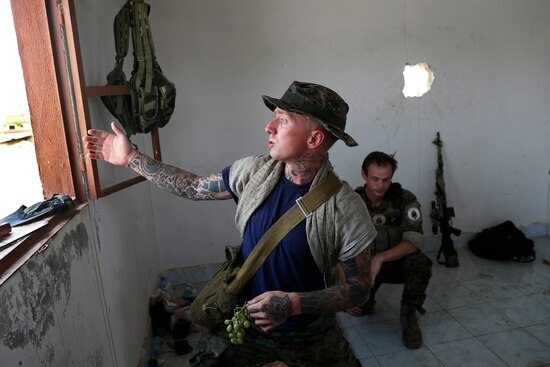 WASHINGTON — Kevin Howard, a Marine Corps veteran, and Taylor Hudson, an American citizen and veteran of the French Foreign Legion, allegedly were detained by U.S.-backed Syrian fighters after U.S. Special Forces refused to help them in their attempt to return home. The two Americans were volunteers fighting with the Syriac Military Council, or MFS, under the larger umbrella group that is the Syrian Democratic Forces, or SDF. The People’s Protection Units, or YPG, is a larger Kurdish-dominated faction within the SDF. “Not my problem, you chose to come here, get the f--- out of here,” the soldier said to the volunteers, according to Hudson. Hudson went on to describe being detained by the MFS in Hassakeh, Syria, until he agreed to sign a statement releasing himself from the MFS’s command. 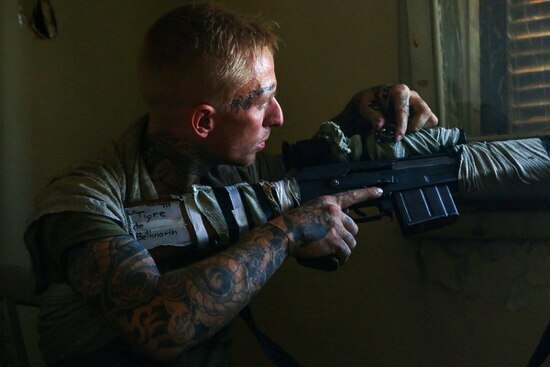 Howard was sent to a separate location in Derik, Syria, allegedly because of his refusal to comply with the MFS’s statement, which he has since signed, according to Hudson. Hudson confirmed earlier reports that the U.S. State Department had told the two Americans to seek assistance from a U.S. military base in Syria. MFS released a statement indicative of their cooperation in assisting the Americans, which Hudson immediately refuted. “Our two volunteer fighters, informed MFS General Command their will to stop fighting and leave for their respective homeland … we are working with them to assist them to leave Syria and later to join their country,” the statement reads. Hudson also addressed a Military Times report that YPG officials had charged the two for selling weapons to ISIS. “The commander of the YPG foreign volunteers, Çanser, arrested us and charged us with treason for joining MFS despite them being under the same command of SDF. He said we were joining a faction that was ‘worse than ISIS,’” Hudson explained. Hudson and Howard both originally volunteered to fight with the YPG until switching to the MFS after the liberation of Tabaq city, Hudson said. The two Americans were simply drained after running a makeshift field hospital in Tabqa, Syria, and wanted to serve with a front-line unit. The last word Military Times received from Hudson is that Howard has yet to be released by the MFS and is still in Derik, Syria. The two Americans are attempting to rendezvous to leave Syria together. Hudson said he is worried the MFS will dump Howard at the Iraqi border with no phone, money or contacts. Military Times will update this story as it unfolds.